There are 6 major pain points that consumers all over the world are complaining about. The 2015 Parature’s Report on the Global State Multi-Channel Customer Service beautifully highlighted them all. Let’s run them over in more detail and look at how we can actually transform these inefficiencies into pleasant customer experiences, or whether we should just rid of some of them once and for all. 1. Don’t let your customers feel helpless and provide sufficient self-help resources. Many customers complain of not being able to resolve their issue and find any information online. Forrester’s survey has shown interesting results at this point. Their respondents reported using the FAQ pages on a company’s website more often than speaking with an agent over the phone. So, number one thing in letting go of your current inefficiencies is to consider creating a strong self-help system – update your FAQ, write up a good manual on your product or service, create a knowledge base or even run a forum perhaps – whatever is applicable in your industry and your company. 2. Dedicate time and resources to creating a strong professional customer service team. Perhaps the second most hated by customers thing is being passed between the agents. Why do you think all of us as customers dislike it? I think ultimately, it’s not about the number of people with whom you need to interact, it’s the pain of needing to repeat the same information, explain your problem and wait till yet another person check your details, which is the most frustrating in this experience. Solution? I think it’s important to let the customer know that there is a team of people working for them and they are dedicated to creating a better, not worse customer experiences. And yes, maybe on some occasions it will take a little more time, but the customer will be sure that his issue will be taken care of in the best way. To create such an experience, the company needs to develop practices when the first employee with whom the customer started the interaction stays involved until the colleague knows all the details about the customer’s issue. It also helps to let the customers know that you are aware that he or she contacted the company before and are able to refer to previous communication. Another aspect to creating a strong team is to retain your customer support agents. If you continuously need to train new people, this will undoubtedly affect the quality of customer service. Moreover, if customers recognize the people in the company with whom they were working a few years ago, they cannot help but trust more in this company. 3. Optimize your procedures to achieve greater first contact resolution rate. Another pain point for customers all over the world is having to contact a company multiple times to get their issue resolved. According to SQM Group, if a customer’s inquiry or problem is resolved in the first call, only 2% of those customers are at risk of going to a competitor, while 23% of customers who don’t get their inquiry or problem resolved say they’re likely to switch to a competing brand. There are 2 major aspects in trying to resolve customers’ issues at first call. One is to supply support agents with all the necessary tools to enable efficient support. This starts from monitoring capabilities, if it’s online support, showing the client’s shopping cart with which one may be experiencing problems, to having access to client’s history of transactions/ communications with the company, to having permissions to access additional resources where support agents can search for answers and try to solve more complicated customer’s issues without needing to escalate the issue further. The other aspect to increasing first call resolution is agents’ training. In my opinion, the actual technical training will not be as efficient without choosing the right people for your company and without giving the big picture of the business to all staff members including the front line agents. Inspiring them and getting employees to act like business owners is the foundation of efficient training and great performance later. 4. Be transparent and encourage real-time communication. Surprisingly, in this digital age a lot of customers are still complaining of not being able to reach a live person when they have a service issue. This indicates that many companies are overlooking the needs and expectations of their clients. Not answering customers’ calls is not only a bad tone anymore. It puts your business directly into the category of potential scam. With a few failed attempts to reach a live agent, most clients will be discouraged to continue trying and will distrust the company. The ability to share their experience online in the social media shortens the age of such businesses down to weeks as opposed to previous years. In order to avoid being mistreated through negligence, take it for a rule not only to ensure the availability of your customer support to clients at all dedicated hours, but to also encourage consumers to contact you, to advertise your available contact options – in a word, to show them that you are there to answer their needs and that you care. 5. Hire friendly people for support. About 10% of customers on average are complaining of impolite customer service agents they have to deal with. I think training can solve this problem, partially, but it cannot eliminate it completely. If something is not natural to a person, it will be very difficult to train them to demonstrate different behavior patters. In order to start solving this problem from the root, select and hire the right people for customer service, friendly and of the caregiver type for whom it is natural to help other people, who believe in it. Then providing some training on top of that, showing them how to approach different types of customers, how to deal with their own personal issues and moods, will give you the best performers. 6. Forget about letting your customers wait on hold for more than a few minutes. And I mean it literally – just to forget about this possibility, don’t even count on it and don’t let your service to fall down to this level. Waiting on hold seems to be one of the most “sticky” problems that companies are struggling to solve. The only reason many fail to eliminate it, in my opinion, is the wrong priority index they assign to it. Perhaps not everyone understands yet the importance and the impact of keeping their clients on hold. Just look how many people are complaining, from minute to minute. A study has found than 80% of people are put on hold every time they contact a business. U.S. consumers are reported to be spending on average 13 hours each year on hold. This explains why long hold times is ranked one of the two biggest customer service gripes. What do you think is the biggest reason why this is still such a big problem in customer service? The most obvious, but not always affordable step in resolving this issue seems to hire more people. Before doing that, however, you can look at how you can optimize the work of the people who are already with you. Maybe you can give them more powerful tools and they can serve more people at a less time. Engaging the right technology is the key to helping this situation. Another step you can take is to let customers know for how long they will wait till they are connected with an agent. This, perhaps, does not solve the issue completely, but still eliminates some of the negative impacts of it. When the customer has estimated his time and is prepared to wait, he will be less frustrated. Call-back technology is also a great move to reduce the hold time. Offer the customers an option to call them back, ask the time they prefer for a call-back and you will reduce the number of complaints about this issue. I would love to hear your comments on what is the major customer service pain point in your company and what steps you are taking to resolve it. Does it match one of the problems we discussed in this post, or do you recognize other inefficiencies which have more priority for you? 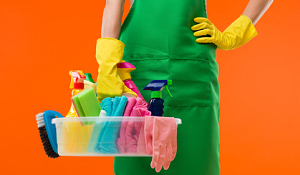 This entry was posted in Articles, Best Practice, Tips and Tricks and tagged cleaning customer service from inneficiencies, customer service inefficiencies, customer service pain points, spring cleaning of customer service, top customer complaints. Bookmark the permalink.